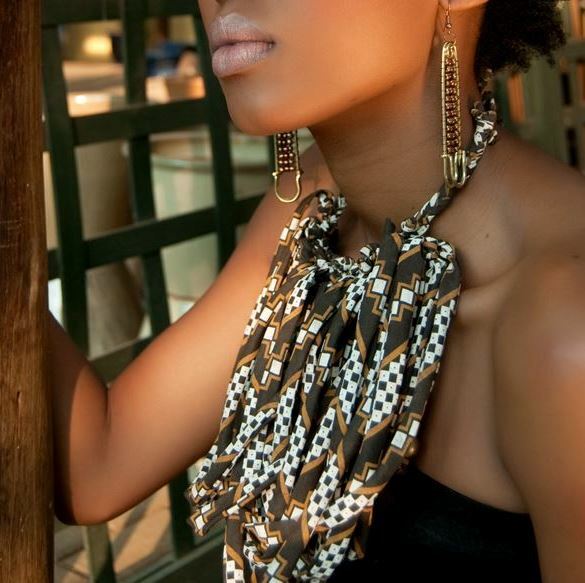 Buhle has received much recognition both in her native Botswana, as well as internationally. 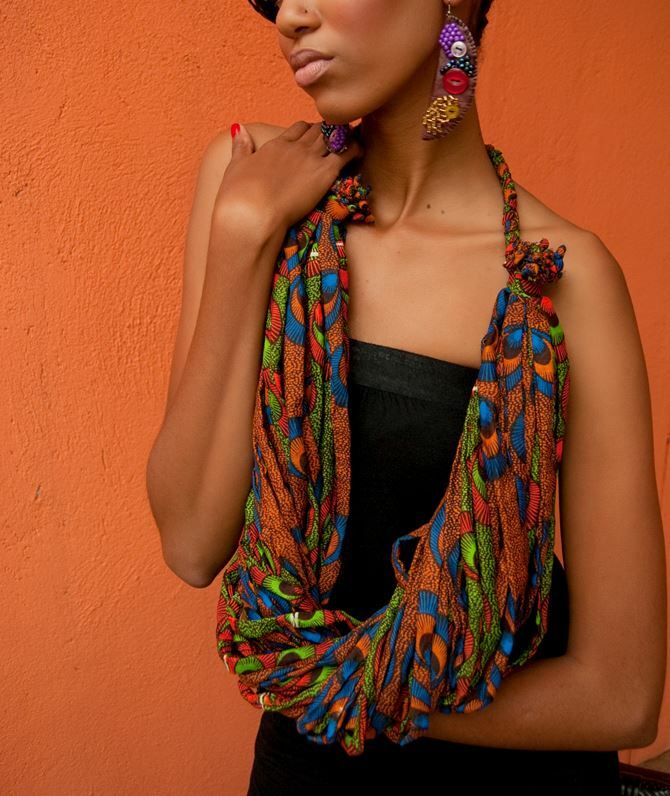 Buhle also creates pieces that have a Maasai -crochet feel to them, which are favorites here at AurumEve. 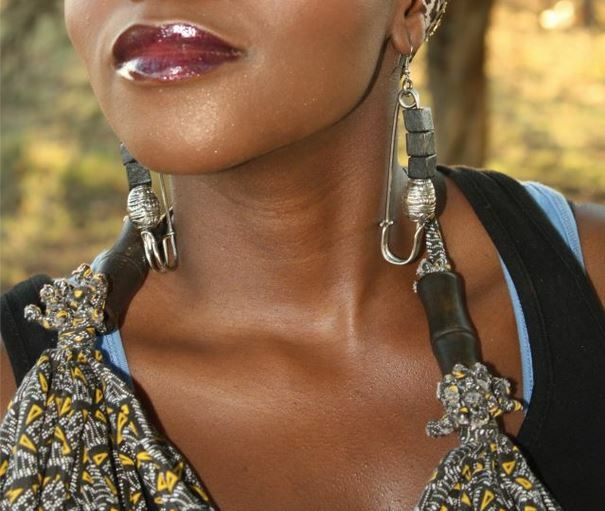 Buhle goes beyond traditional beading on safety pin themed earrings and adds a unique and more intricate design to both safety pin and her nature-inspired earrings. Yes… I love, love, love this!! 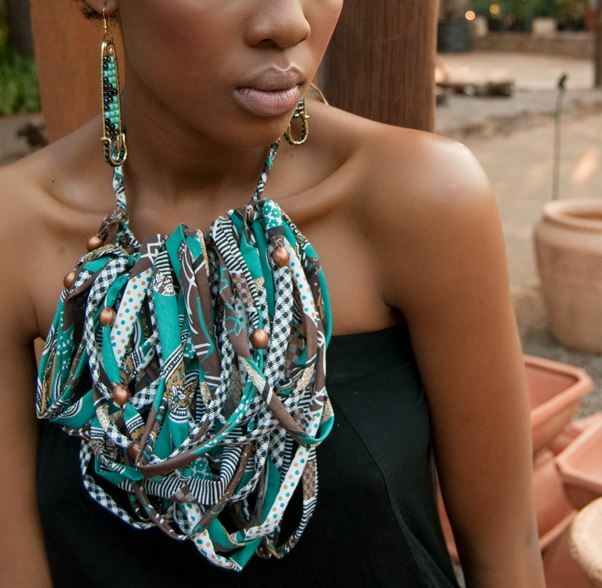 The piece is a statement maker!!! 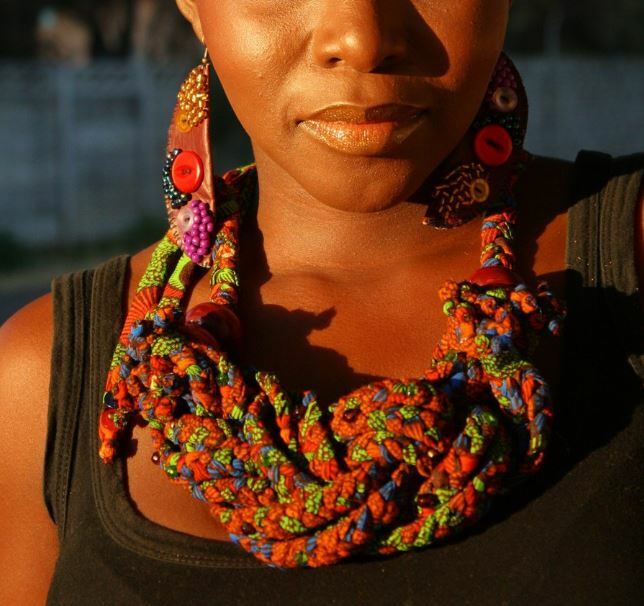 Love the neck wraps! Really innovative! She definitely found a way to put a new spin on her traditions!